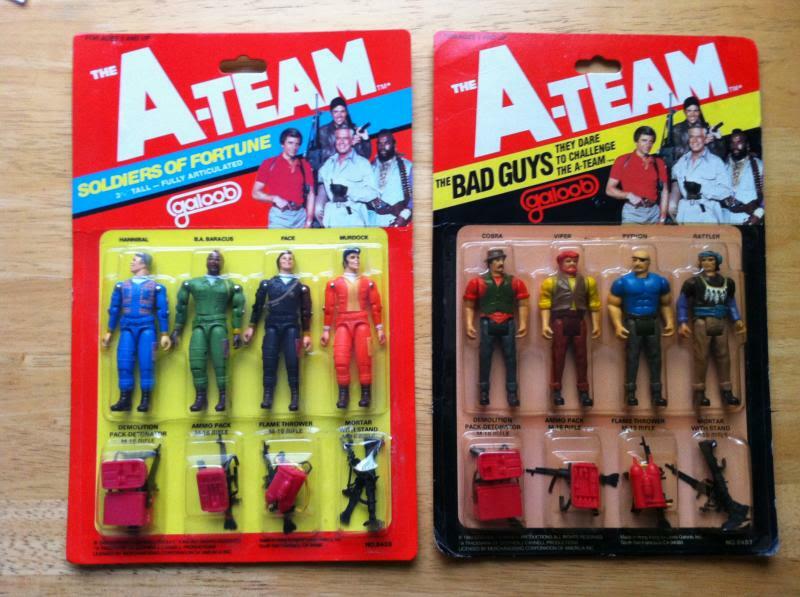 The Galoob A Team action figures emerged in 1983 , six years after Star Wars and one year after G.I. 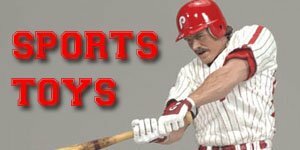 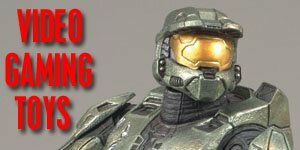 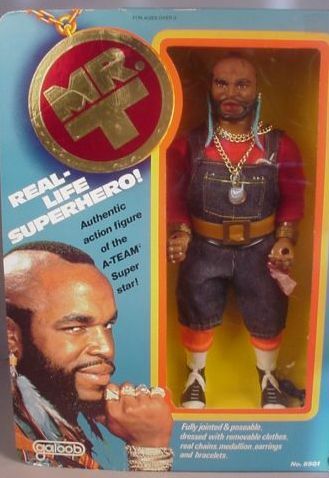 Joe: A Real American Hero, so we were already experiencing the rise of the multimedia toy-line tie-in. 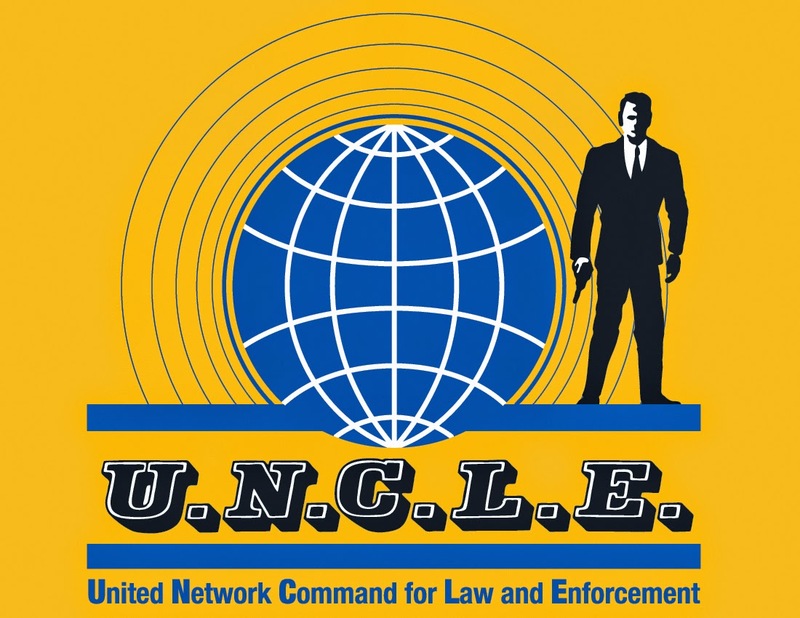 The TV series ran for five seasons and 98 episodes from 1983 through to 1987. 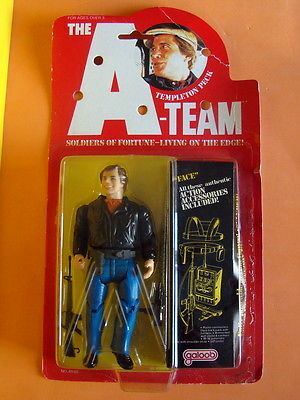 The story followed the adventures of four crack commandos, veterans of the Vietnam war, who, having been arrested for a crime they didn’t commit, escaped and made a life as soldiers of fortune. 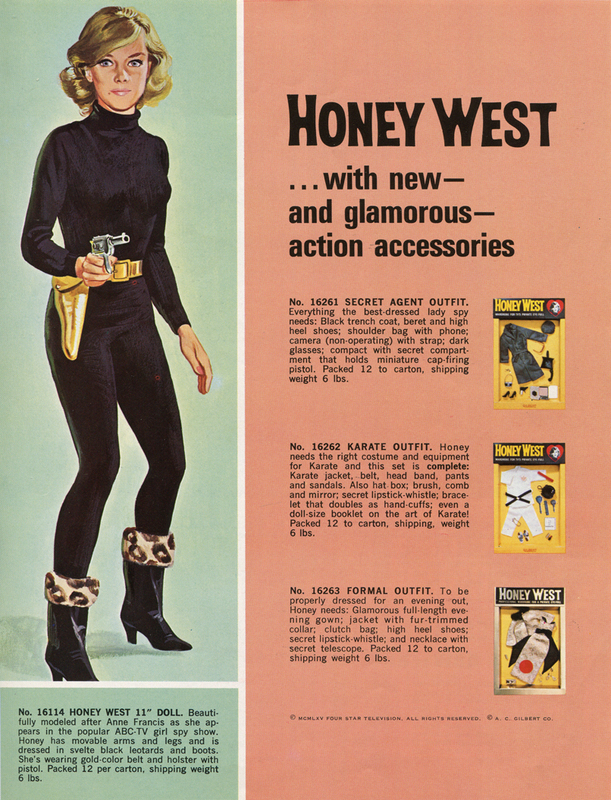 What this meant week to week was generally going from town to town in America, helping people fend off greedy gangs and rough tycoons with bloodless yet bombastic action. 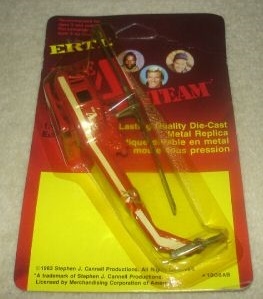 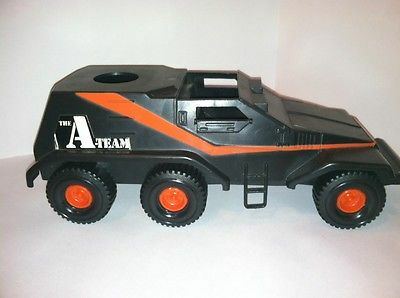 Galoob produced two scales for the A Team line, three and three quarter inch figures which were the same scale as the early Joes, and a six inch line that were more detailed. 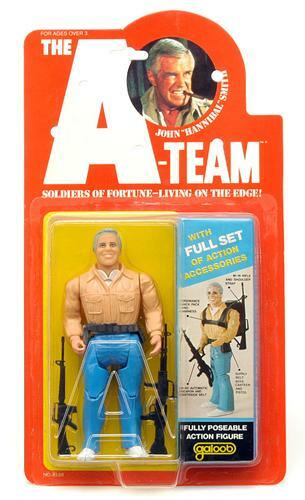 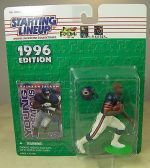 The smaller figures, rather than being sold separately, came in four packs. 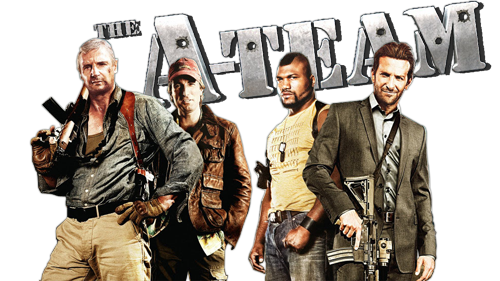 There was the main quartet of the A-Team, namely Hannibal Smith (the man with the plan), B.A. 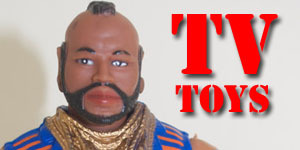 Baracus (the angry muscle), Murdoch (the crazy pilot) and Faceman (the smooth-talking master of disguise). 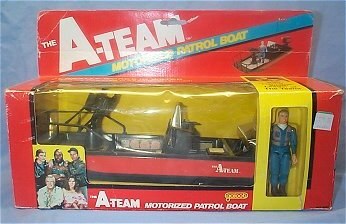 As well as this there were four entirely made up bad guys named (and this may have been nothing at all to do with He-Man and G.I. 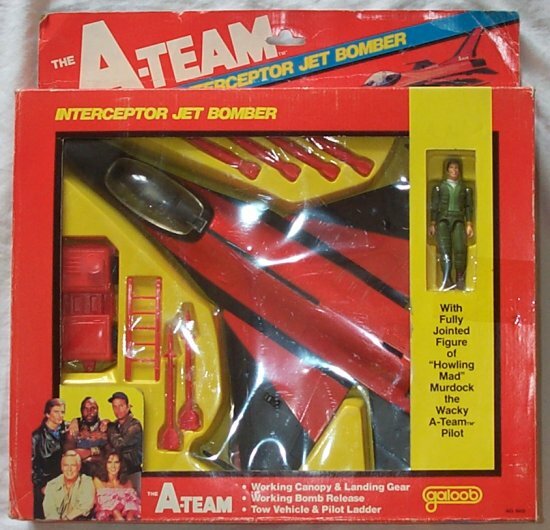 Joe’s snake-themed nemesis’) Cobra, Viper, Python and Rattler. 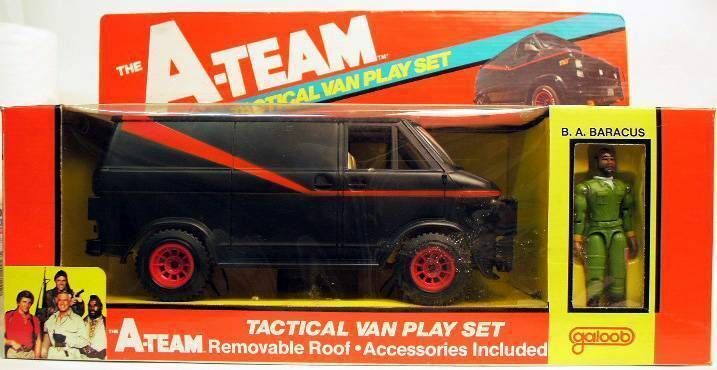 There were a variety of vehicles and accessories released to accompany these figures and assist in action play. 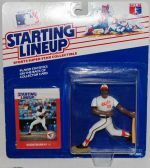 Chances are low sales were attributed to the fact that a four pack was a more expensive prospect for parents than the single-selling G.I. 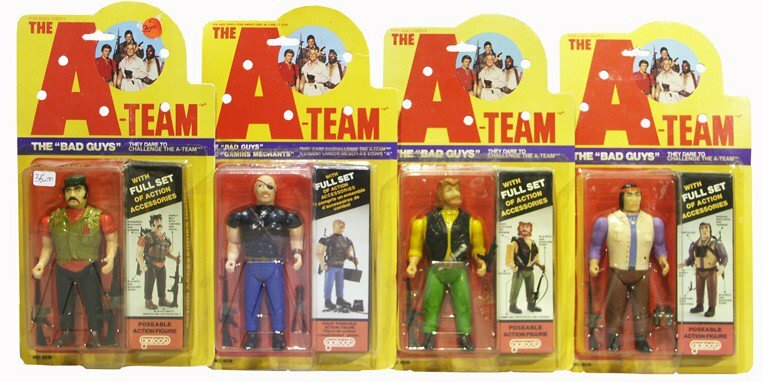 Joes and the very literally named bad guys did not have that must-buy quality to them. 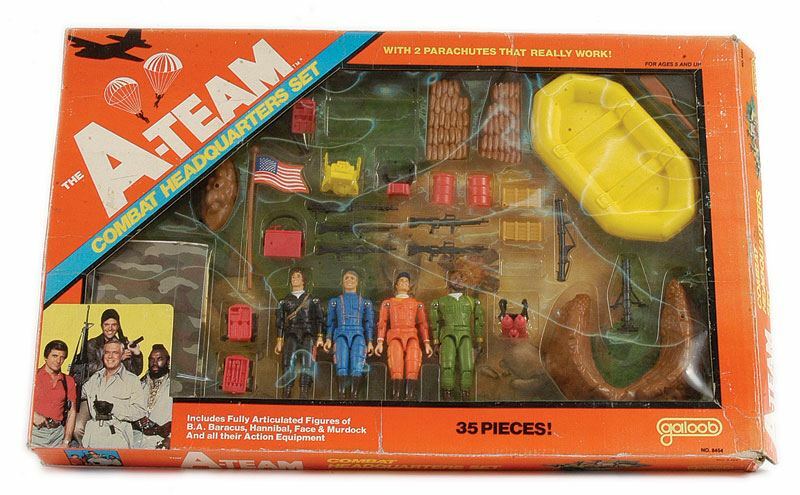 The Headquarters Camp set included all four heroes plus a ton of accessories, tapping into the classic army men play mode. 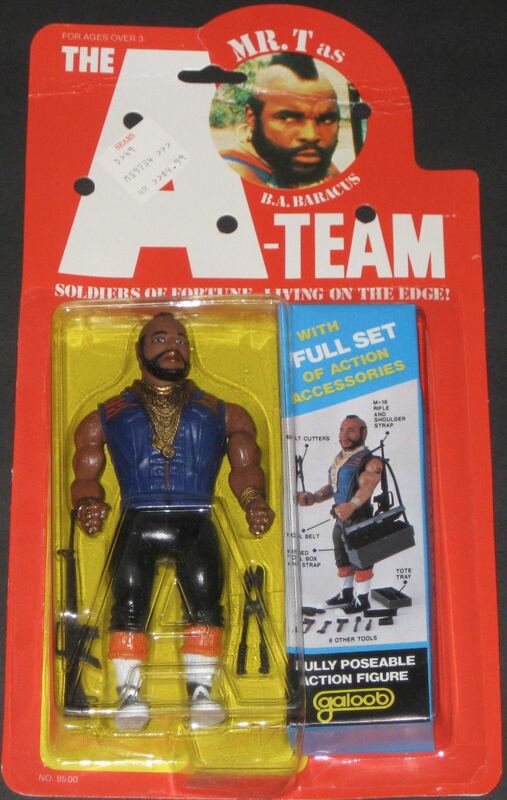 The six-inch line are probably more well-remembered and comprised of single selling figures of the main four A-Team members. 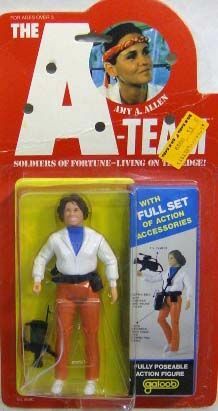 Amy Allen and the four bad guys also received figures in this scale. 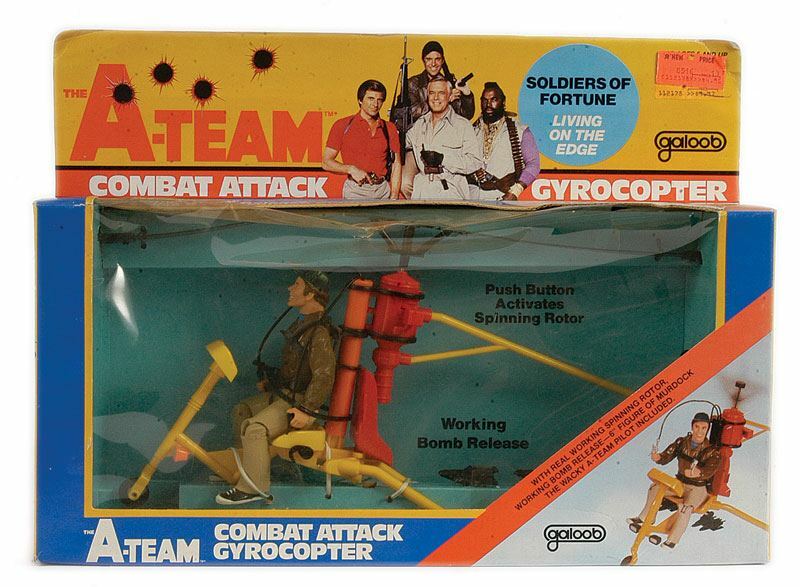 Each came with various weapons and accessories as well as backpacks. 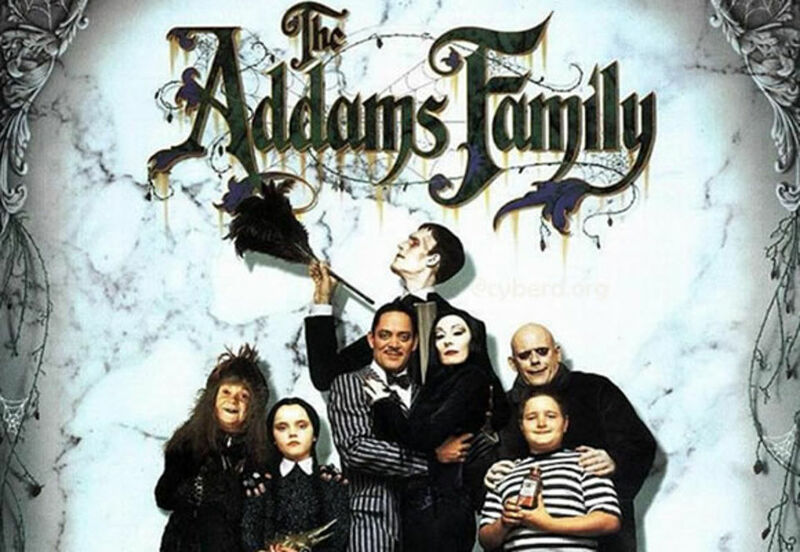 They had happy, cheerful faces and outfits that very much matched their onscreen personas. 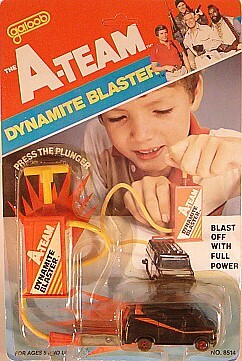 Articulation was at the neck, shoulders, pelvis and knees. 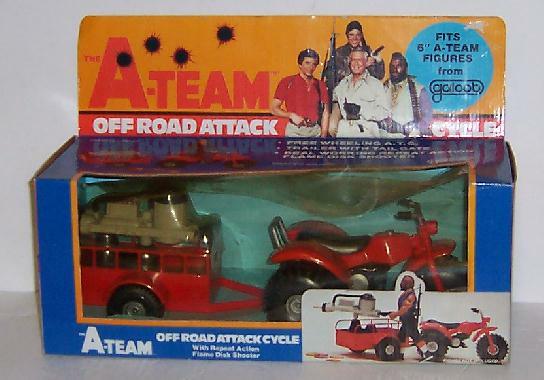 Vehicles in this scale included the A-Team Van, a Gyrocopter and a three-wheeled bike. 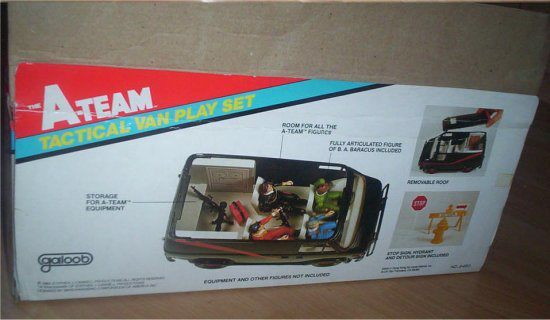 A large Command Centre playset was also released. 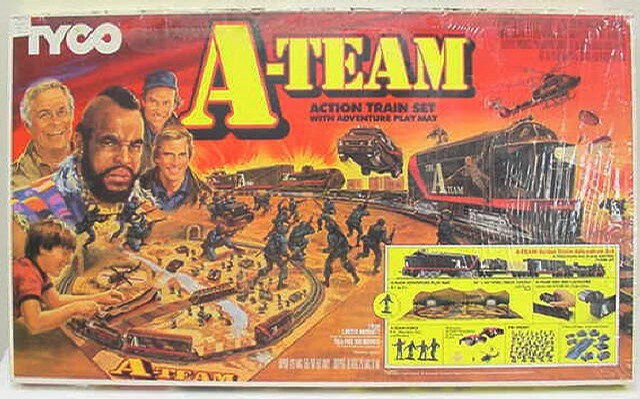 Other toys included a 12” Mr T figure an “Action Train Set”, and a play M-24 Assault Rifle target game with customisable accessories. 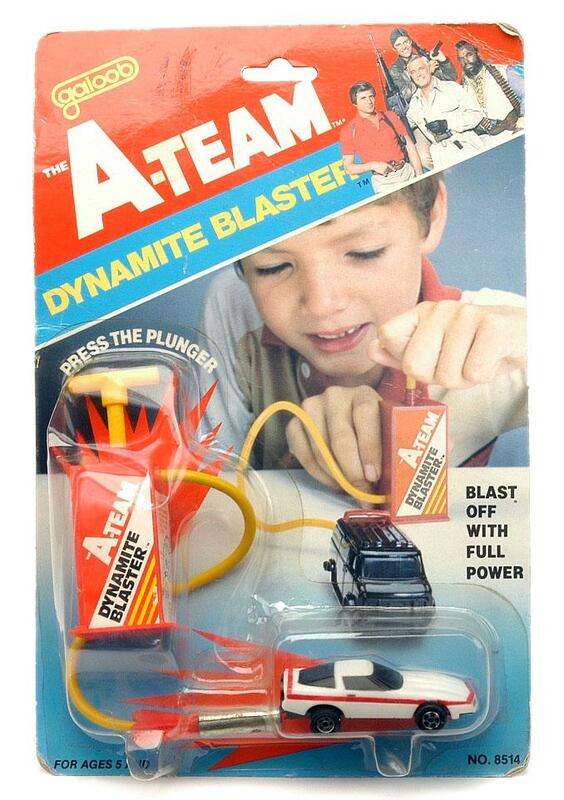 There was also a Dynamite Blaster which was a toy car that could be launched with an air-pump. 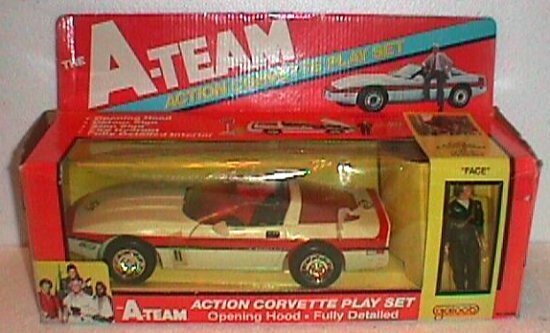 This came in either a Van or Corvette model. 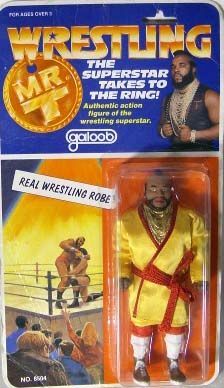 Mr. T also got his own wrestling figure. 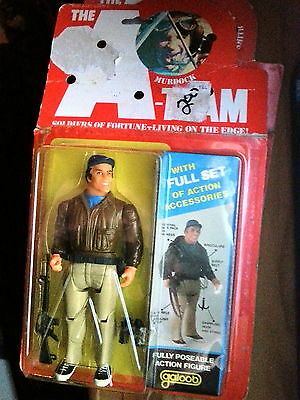 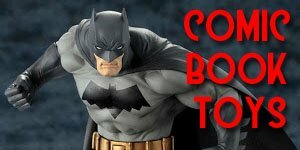 Naturally after the new movie emerged in 2010 another line of action figures and toys came with it, and this seems like a license that will renew again at some point down the road.